Aloha! Postcard-perfect images of Hawaii may seem cliché but spend some time on its paradisiacal islands (there are eight) and you will agree that there truly is no other place like it on this planet. It may be half a world away from South East Asia, but if you’re already familiar with this region, you will find that we have much in common – linguistically, culturally, and historically. With AirAsia X flying to Honolulu via Osaka starting this June, it’s time to plan your ultimate getaway to this major hub in the Polynesian islands. And no, it’s not enough to be able to hum the Hawaii Five-0 theme song or guess, wrongly, that hula is a type of grass skirt. (It’s actually an ancient and thriving Polynesian dance and storytelling form). 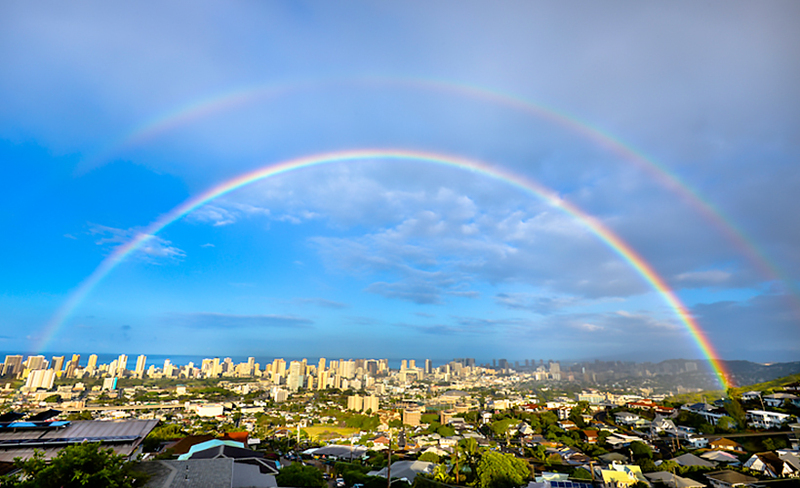 Of the eight islands that make up Hawaii, the most populated is Oahu and Honolulu is its capital. The biggest, on the other hand, is called – would you have guessed it – the Big Island, while its official name is Hawaii which is also the name of the entire island state. Did you know? You would be surprised by how many people don’t realise that Hawaii is the 50th state of the USA, including Americans – a young Fed Ex employee in Manhattan insisted that I pay international rates for shipping my books from New York City to Honolulu back in 2008 when I was getting ready to move here. Top tip The eight Hawaiian islands are among more than 10,000 that are all part of Melanesia, Micronesia and Polynesia – regions that make up Oceania, an expanse that covers over 8.5 million sq km on the largest body of water on the planet. Sometimes, insular South East Asia is also considered part of Oceania. 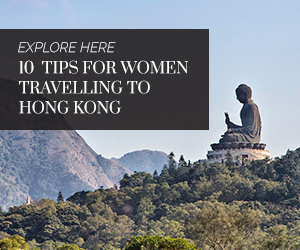 For most women who have travelled to other Asian cities, Honolulu will feel both unique and foreign yet familiar at the same time. It’s an ‘open sea’ of human diversity, which is not surprising given that there is a prominent human migration theory pointing to early South East/East Asians who kept migrating southwesterly, eventually leading to the great Polynesian migrations onto the moana (the Hawaiian word for ‘ocean’). Did you know? Courtesy of the complex history of Hawaii, Honolulu is home to one of the most ethnically-diverse communities in the world. 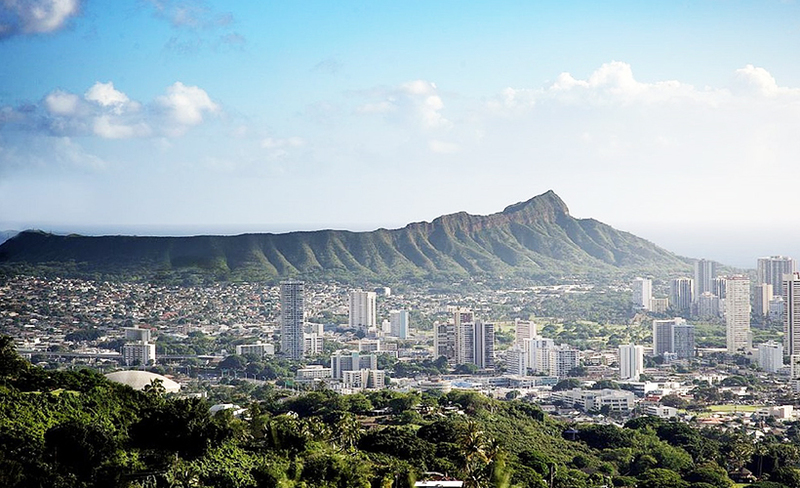 Along with native Hawaiian communities, Honolulu also has large populations of Japanese, Chinese, Filipino and Korean, many of whom are second, third, and fourth generation immigrants, not to mention those that are of mixed ancestry. More recent immigrants also come from Micronesia, Samoa as well as Vietnam, Thailand, and Laos. Top tip Here’s one subtle mistake some visitors make: Hawaiian refers specifically to native Hawaiians with Polynesian ancestry, not to anyone living in Hawaii for a long time. All other residents are referred to with the qualifier ‘local’, for example ‘local Japanese’ or ‘local Chinese’. Residents or visitors of European ancestry are sometimes referred to as haole, similar to how mat salleh, ang moh or bule are used in Malaysia, Singapore and Indonesia, respectively. The highest concentration of hotels are in Waikiki, a neighbourhood in Honolulu. If you’re willing to do the hostel thing, a quick search on any of the major hotel booking sites will reveal affordable rates from as low as USD40 per night. Did you know? Check the location before you book; if your accommodation is not in the city centre, you would have to spend money renting a car to get around. You need an international driver’s licence to drive in Hawaii. Top tip Consider less ‘traditional’ tourist options, like staying in the Ala Moana neighborhood just next to Waikiki. There is also Manoa Valley Inn, a bed-and-breakfast style accommodation, in the valley closest to Honolulu. 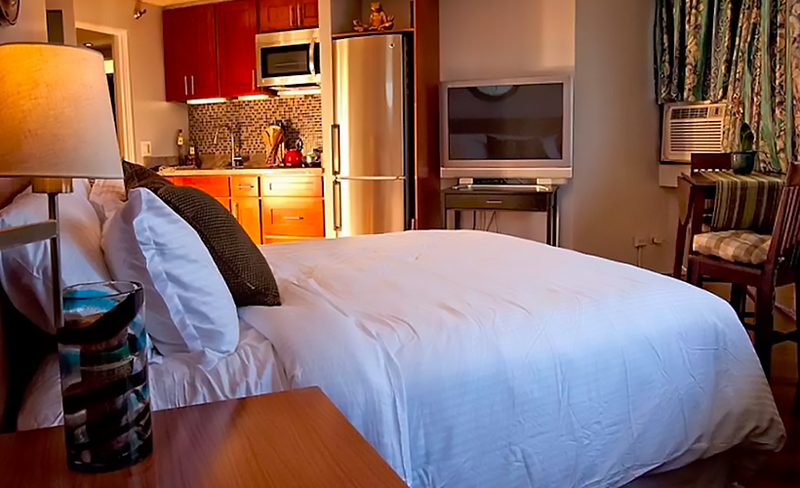 Another un-traditional way to visit Honolulu is to stay at an AirBnB (often cheaper than hotels) or on an organic farm (WWOOF Hawaii offers a comprehensive listing of different farms and the types of accommodation they offer in exchange for farm work). Taxis in Honolulu are expensive compared to other US cities. Uber and Lyft do operate in the city, and may occasionally be cheaper than a taxi. Did you know? If you plan your time well, the public bus, referred to as The Bus or DaBus can take you to most key spots and attractions. The one-way fee is USD 2.50 (coins and one dollar bills) regardless of distance. You can also get a 4-day unlimited ride pass for USD35 at any ABC convenient store in Waikiki and Ala Moana. Top tip DaBus has a free app that helps you find your way around and estimate when the next bus is coming. *If you don’t want to pay for international roaming, get a local SIM card from telco companies like T-Mobile, which has a special Tourist Plan. Honolulu boasts a palate-pleasing plethora of culinary cultures. You’ll hear references to the loco moco (Hawaiian-inspired), spam musubi (Filipino/Japanese), saimin (Chinese/Japanese), kimchi fried rice (Korean), and mochi (Japanese), which are all unique to Hawaii and hint at their immigrant origins, but don’t mistake them for similar-sounding cousins in their ‘original’ countries. In addition, you will have no difficulty finding authentic global culinary options like Japanese, Korean, Thai, Vietnamese, and Moroccan, to name a few. Did you know? 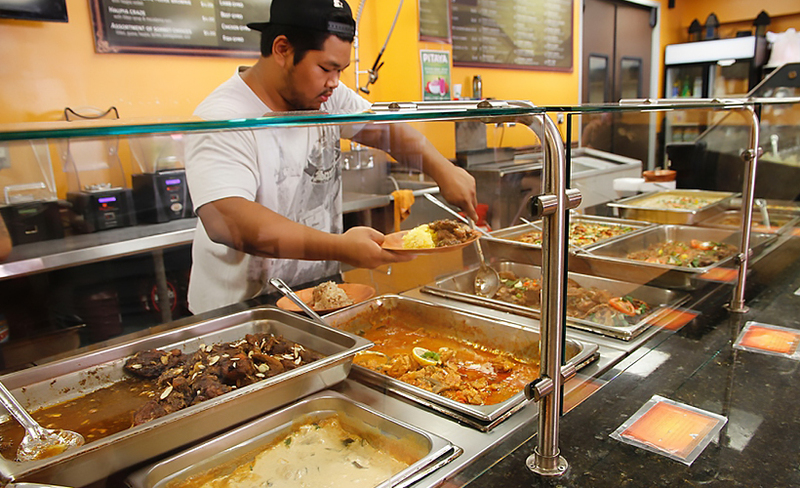 There are also nearly a dozen halal options for Muslims travellers. You can find a list here. Top tip Chinatown, which is also home to Honolulu’s nightlife, has many options for a quick bite or a nice sit-down dinner. You might even consider venturing into neighbourhoods like Moili‘ili to check out small cafes and local joints. My personal favourites are Brue Bar and Raintree Bakery Coffeehouse for coffee, and Aloha Pho for a late night snack. Compared to other US cities, Hawaii in general has low sales tax, which means you will find some good bargains. Venture to Ala Moana Shopping Center and seek out local brands there; Honolulu Cookie Company and Big Island Candies make great souvenir treats to bring home. There is also shopping at Don Quijote for better deals. Don’t forget Ross Dress For Less and Waikele Premium Outlets. Did you know? 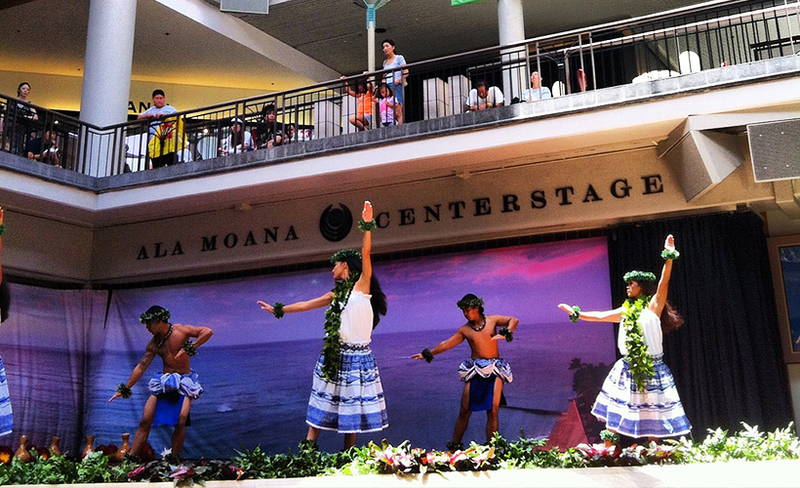 Shopping in Waikiki is not unlike shopping on Fifth Avenue in New York, so don’t focus all your retail therapy there. Top tip If you’re looking for something more local, farmers’ markets are another great place to find Hawaii specialties like honey and coffee. A very famous one is the KCC (Kapi‘olani Community College) farmers’ market on Saturdays, 7.30AM – 11AM and Tuesdays, 4PM – 7PM. Don’t be fooled by the whimsical image of paradise; Honolulu is still a city, with the ills that usually come with urban living. If you want to walk around alone at night, limit it to Waikiki, Ala Moana and Chinatown and even then, start heading back by about 1AM. Other parts of town tend to slow down much earlier. Just in any other major city, it’s best to be safe and stick to busier spots. Did you know? There is a lot of homelessness in Honolulu. Many of them are sometimes just down-and-out former middle-class residents who couldn’t make rent. A sub-population of those living in tent camps or right on the streets often also have mental health and medical needs that are not met, so just be aware. And be kind. Top tip Do not leave your belongings unattended – on the table at the restaurant, on your mat at the beach, or in your shopping cart. Honolulu sadly has its share of very observant thieves who will steal when you’re not alert. Yes, it is Hawaii, a tropical island with miles and miles of sandy beaches, and some of the cleanest air in the world. Perceived humidity is low compared to Kuala Lumpur, Singapore or Hanoi. But during the ‘winter’ months of December to February, some people would actually need a sweater at night, while having sweated just hours ago in the daytime. Did you know? Double rainbows are a common occurrence. Top tip All year round, anytime the sun is out and you plan to spend time outside, put on sunscreen – no excuses. Having a hat and a filled water bottle is also a good idea. 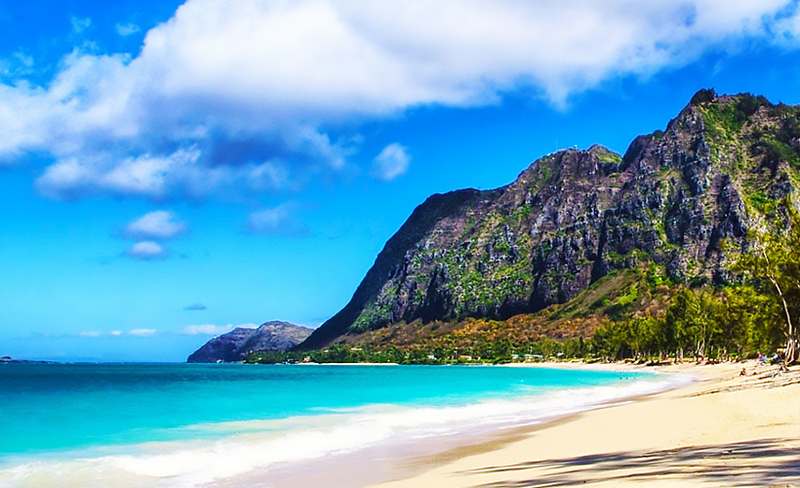 When it comes to beaches, you can’t really go wrong in Honolulu and anywhere on the island. A local gem not as frequented by tourists is Kaimana Beach, which sits at the eastern-most edge of Waikiki. A little bit further out to the northeast is Waimanalo Beach, which is rarely crowded and boasts some of the most turquoise waters on Oahu. As on any beach, do heed safety advisory announcements. Did you know? As Oahu is a small island (only about twice the size of Singapore), you may actually leave Honolulu without realising you’ve done so. Top tip The public bus service has several routes that will take you beyond the city, even all the way to the North Shore and back; catch buses 52 and 55 if you’re up for some adventure. Like many cities in South East Asia, many of Honolulu’s local residents often converse in an English creole, fondly and famously referred to as Hawaiian Pidgin, although it is actually recognised as a distinct language. You’ll have to experience it for yourself, but understanding how languages like Manglish and Singlish came about would put you ahead of the game. Did you know? Hawaiian and other Polynesian languages are under the same Austronesian category, as are many indigenous South East Asian languages. Consider these golden nuggets: Honua (Hawaiian) means land, earth, or world, and sounds similar to benua (Malay/Indonesian), which means continental land. Another curious one is how moana, which also means expanse, sounds and points to similar meanings with the Sanksrit-based bhuana, which refers to the macro cosmos (stay tuned for more research on this one). Top tip The two most useful Hawaiian words are aloha (hello/goodbye) and mahalo (thank you). E kipa mai (come visit)! Nezia has been managing projects since age six, loves to dance, and is currently working on her first documentary. Currently based in Honolulu, she grew up both in Kuala Lumpur and Jakarta, found herself in New York City, and regularly visits family and friends in South East Asia.